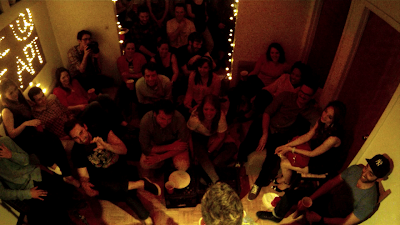 EV Grieve: Can comedy be funny in an East Village apartment? 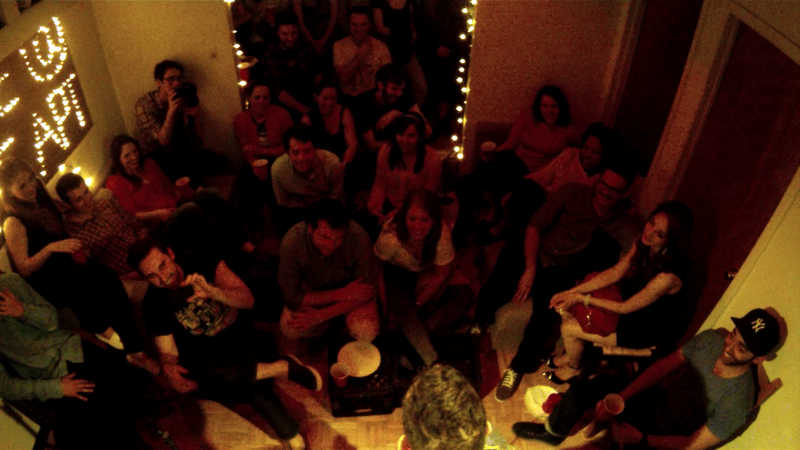 Can comedy be funny in an East Village apartment? In recent months, roommates Dan Hurwitz and Drew Miller have been hosting sorta secret monthly comedy shows in their East Village apartment (East Seventh Street and Second Avenue ... above Standings) with some real, live comedians ... they recently debuted a LIVE @ THE APT YouTube channel with clips from their first few shows. They're starting Season No. 2 tonight from a location in Williamsburg (the horror! ), though the show will return to the East Village, Miller says. Anyway, all this sounded interesting enough... so we asked Miller a few questions via email about LIVE @ THE APT. 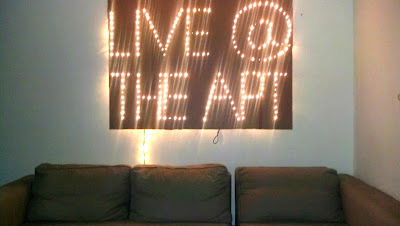 What inspired you to start LIVE @ THE APT? We both are huge comedy fans and after seeing a show one night where our host, Charles Gould, was performing, we just thought, why can't we put on a show ourselves? We recruited Charles to host and then the only thing missing was a venue. I had one of those kitchens that attach to a living room so we took the couch apart and created a makeshift venue. It was just cheaper and more fun to do in an apartment anyway. Any challenges of doing something like this from an actual real East Village apartment? Oh yeah, plenty. For one, the space is entirely way too cramped to the point where we've had people sitting in the sink to watch the show. We did a show in the summer and it was so hot even with two air conditioners going the place was a sweatbox. One of our comedians got locked out during one of the shows cause the front door was broken. Basically everything you'd expect in an East Village apartment, which is what we think makes the show different and fun in a way. How would you say the first shows have gone? They have had their challenges definitely, but have improved with each show. The positive feedback we have been getting tell us we must be doing something right (hopefully). This is a pretty new experience for all of us so we learn as we go. We did our last show up on a roof, which went really well — probably cause people weren't sweating in an apartment. We haven't been evicted and our neighbors and landlords haven't complained so I would say that's a good measure of success for putting on comedy shows in an apartment. Generally speaking, what can people who show up expect? Some of the best up-and-coming comedians in NYC for one. People may or may not have to sit on up-side down milk-crates or there is standing room in the kitchen. 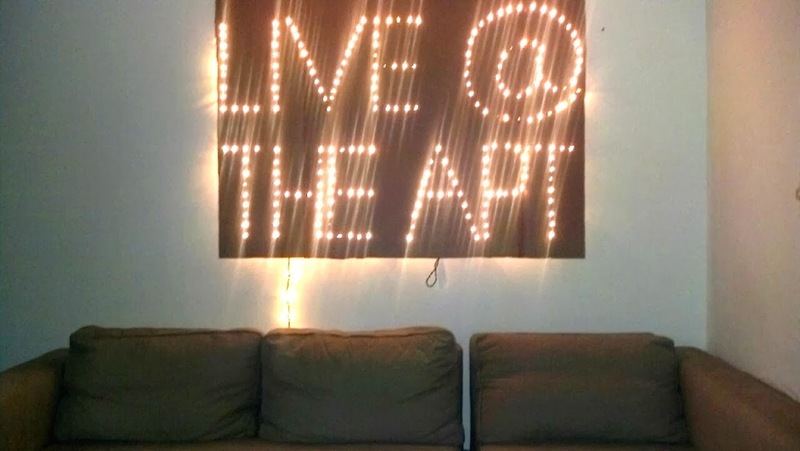 We also like to offer an inclusive environment and open our place to the public but since the apartment is a little small we just ask people to follow us on Twitter @liveapt to get the address/invite. Oh and also free beer. Doors open at 9:30 pm, show starts at 10:30 pm. The show is free. Free beer?! I am there! Sounds like a good underground East Village experience, but then other thoughts like fire code, noise, building security. Don't think I'd want comedy apartment next to mine. Hahah, 8:27AM, I had the same line of thought! We're getting old my friend. Fun idea but not so considerate for the neighbors and could be a deadly scene if there was ever a fire. A couple years ago I went to see a friend who belly danced at Luca Lounge. They had double-booked a comedy act that night accidentally. I thought it was a super weird mix and an awkward venue to do comedy. I told my friend as much and I think a comedian overheard me as he was heading to the bathroom after his set. Looking back I feel bad about that. Its tough being a comedian. Any gig you can get the audience should be appreciative of the comic (even if they were expecting a different act altogether). So my apology to that guy and those comics that night goes out into the world. And my hats go off to these hustling comedians. How green is your street or building? Have you seen the plans for SPURA?